Welcome to the Operation Write Home World Cardmaking Day Blog Hop!! I am thrilled you have stopped in today. If you don’t know them already, Operation Write Home has sent over a million cards to our heroes overseas. Yes, over a MILLION cards! Wow! These cards are available to the heroes so they can write home to their loved ones. We all know that there is nothing like a hand-made card and one made for the heroes shows how much we care about them. All the details about the organization are available on their website as are the rules about the cards (ie, no glitter, A-2 size, etc). Many of my readers already know that I served in the Air Force for 10 years as a pilot. My husband was also Active Duty Air Force and still serves in the West Virginia Air National Guard as a C-5 pilot. One of my husband’s favorite parts of his job is bringing critical supplies to the front line troops. I feel like I can help a little by shipping some morale to those heroes via Operation Write Home. The burden on the military family is great and communication home is critical. Cards from loved ones are truly priceless and I am proud to be able to contribute in a small way. I will be back on Monday with some more specifics on this card since I know you have lots more cards to go see! Make sure you click on the banner at the top of the post to get to the whole hop. Thanks for stopping in today. As you celebrate World Cardmaking Day, make sure you create a few for the heroes! This is a beautiful card! Love the kraft and red color together! Gorgeous card – the ribbon is just beautiful! Your card is very classy, the colors are great and the curled edge around the sentiment is unique. I am filing this one away for later. Thank you! Elegant and classy! I love the colors– understated, but beautiful. Love how rich and lush this card is – the flower and the bow really feel luxurious. What a beautiful, stunning card. 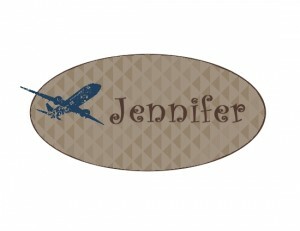 Love the hominess of the craft, and the elegance of the embossed label. The scarlet ribbon is just the perfect touch. And the subtle swirl… Ok, sorry, I’m gushing. Absolutely beautiful! Love all the little extra touches of texture that add up to a beautiful card! Such beautiful texture and detail throughout this card! I’m intrigued by how you curled the edges of the oval and distressed it in such a gentle way. Beautiful work and thank you for your service! Stunning! I love the torn paper (I am such a fan of torn paper), the beautiful flower, the wandering ribbon! TFS! Your card is absolutely gorgeous! I love the distressed edges, and all the dimension. Thank you to you and your husband for your service. Oh this is so very very pretty!! I love the torn edges and the great color combinations. Pretty red bow too! I love the torn pieces of paper you added. The whole card is really quite beautiful! Thanks for sharing! Thank You and your husband for your services! Everything on this card is beautiful. LOOVVVEE that flower! Love the ribbon and that poinsettia! Thank you for your service and support of OWH and all our Heroes!! Beautiful card, love the details with the flower and sentiment plaque. Thank you for your service, and sharing this beautiful card. Wow! Absolutely beautiful card. I love the curled edges of the sentiment layer. Wow – stunning card the more I see the Creative Elements versatility the higher up my wishlist it keeps getting pushed! TFS! Love the torn accent papers and the inking…just beautiful! Thanks for your service! Your card is lovely. I particularly like the ribbon and the gorgeous flower. I love how you distressed the sentiment tag! Thanks for sharing! STUNNING card!!! I can’t pick a fav element bc all of them are; TFS!! Awesome that you were an AF pilot, and that your husband still serves. This is a beautiful card with great distressed edges and that pretty red bow adding interest! Your card is fabulous my friend! Just stunning! Jennifer your card is gorgeous! Thank you and your husband for your service to our country! Beautiful card!!! Thank you for supporting OWH!!! First of all, many thanks to you and your husband for your service to our country! Second, oh, my goodness! I love that ribbon! Your card design is terrific, and I’m making a sketch. Thank you! Gorgeous card! Your ribbon is spectacular!! This card is beautiful!! WOW!! 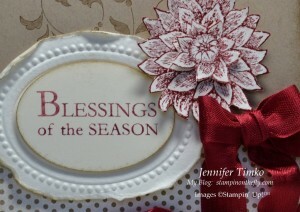 I will be showcasing this card on My Crafty Picks #36 with a link back to your blog on 10-2-11. Make sure to stop by to check out all the picks!! I love the whole look of this card! Torn paper gives it such a soft, worn look. And the frame and flower are so pretty! 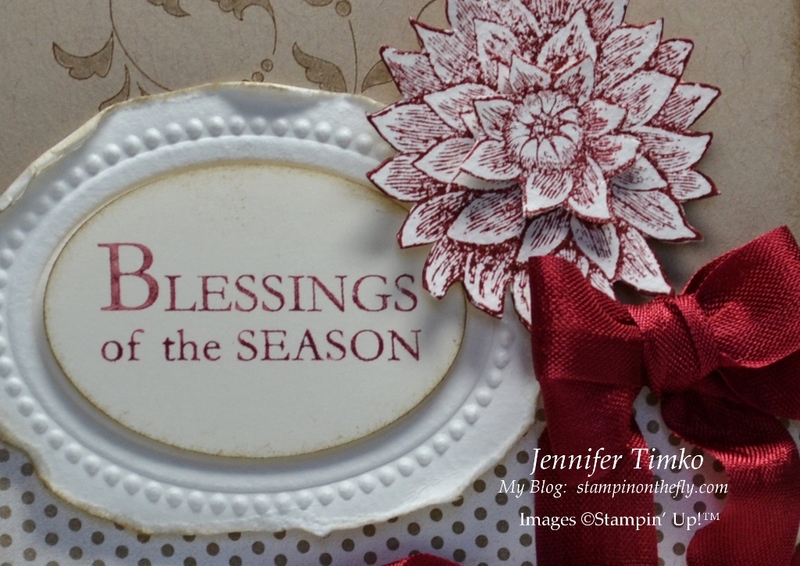 Wow – love all the layers and distressing on your card. What a gorgeous, elegant card! The bow is simply fantastic. I also like how the embossing sets off the sentiment panel. Thank you and your husband for your service to our country! Your card is gorgeous! You used one of my favorite color combos. Oh, I just love this! I love the kraft with the red and what a great way to use that Designer Frame! Beautiful vintage style card!